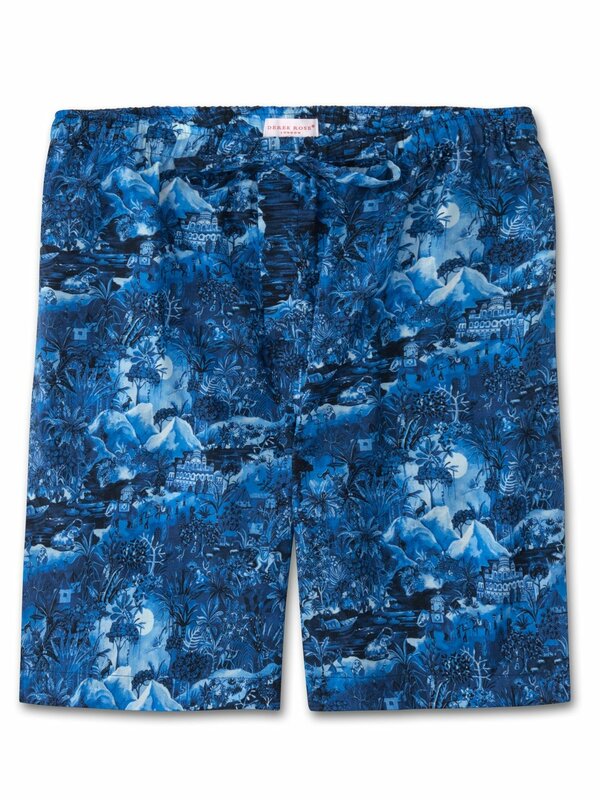 The detailed Ledbury 10 men's lounge shorts are adorned with our signature hand-painted print of the season which takes you on a voyage through the waterways and rice paddies of Kerala, India. The riverbanks are bursting with wildlife and nature, with this dream-like scene also including elements of other areas of India, from the elephant polo of Jaipur to the grand palaces of Rajasthan. You may even spot an appearance from Derek in his Regimental pyjamas! Designed for a relaxed and comfortable fit, our men's lounge shorts add a touch of luxury to your lazy days. Wear morning, noon and night for laid-back style. 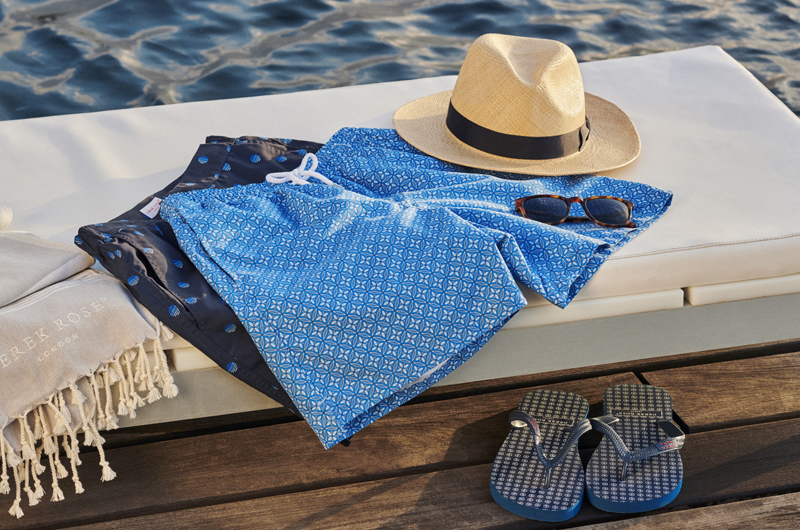 Made from lightweight and super soft cotton batiste, a signature fabric of ours that excels in warmer climes, these luxury lounge shorts are designed to keep you comfortable during the transition from the cold months into warmer days. Our lounge shorts feature a combined elastic and self-fabric tied waist for a comfortable fit and two inset side pockets and a rear patch pocket to help keep your phone and other items close while you're lounging. A concealed button fly also ensures practicality is not lost.